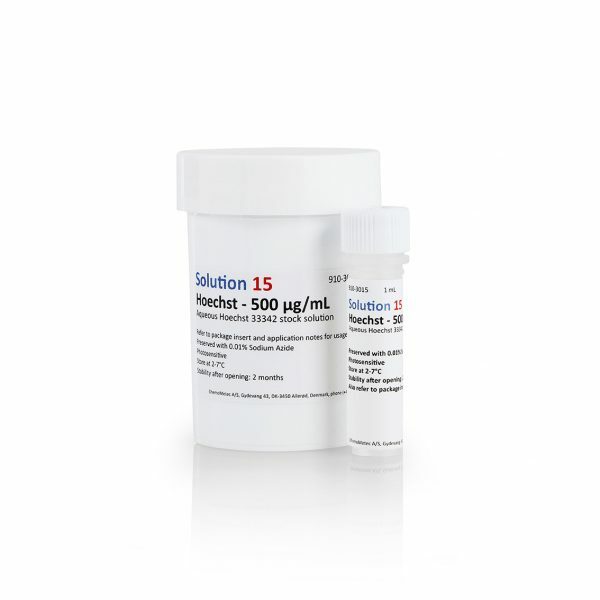 Solution 15 contains Hoechst-33342 which stains the DNA of all cells in a sample, living or dead. 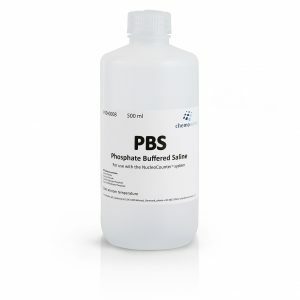 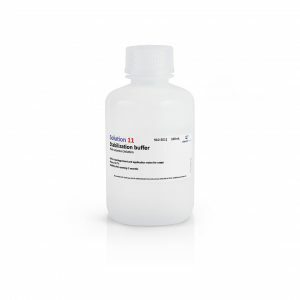 Used as a counterstain in FlexiCyte™, Caspase Assay, Annexin V Assay, and GFP Transfection Efficiency Assay for measurements when using the NC-3000™. 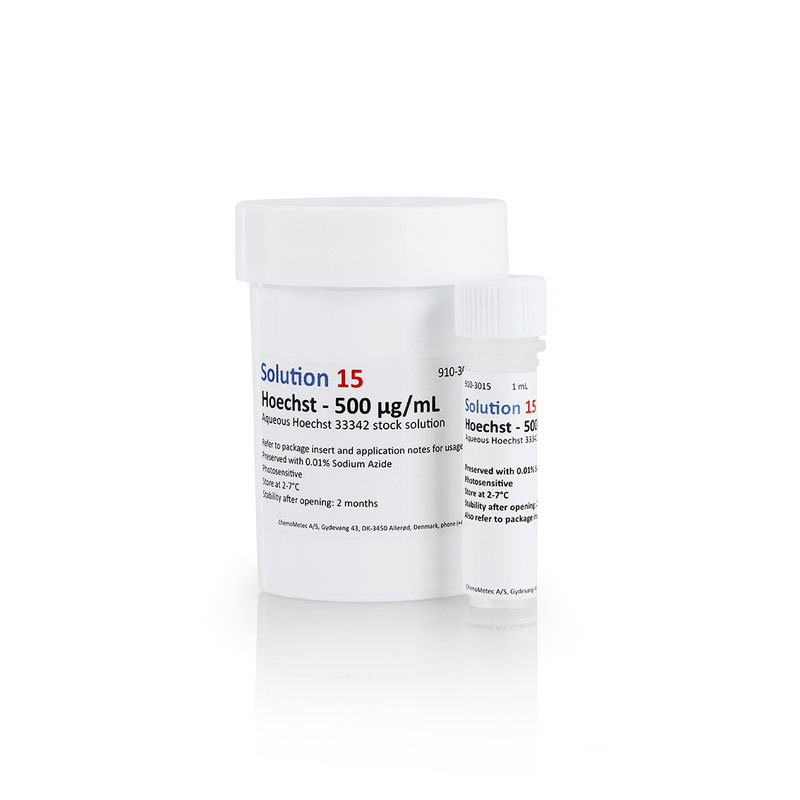 Compatible with the NucleoCounter® NC-3000™.